Submersible pumps are a kind of equipment that many industries will use. The general warranty period is one year, but its use environment is relatively bad. In order to reduce the expenses, we must ensure the stability of the submersible pump in order to achieve long-term use purpose. In order to improve the life of the submersible pump, we must ensure that the use of the process, the operation of norms, on this basis to maintain regular maintenance work, will be able to greatly improve the service life of submersible pumps. In the installation of the time, do not use the cable pump cable overhead, the power cord should not be too long, so as to avoid unnecessary damage. When you send it to the water, do not let the cable too much force, so as to avoid the power line of the fracture. 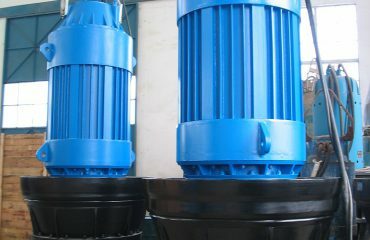 In the process of submersible pumps, do not sink it into the cement, which will affect the cooling effect, which burned the motor winding, in the installation of the time to pay special attention to the motor insulation resistance can not be less than 0.5 megohms, So as to protect the motor very well. 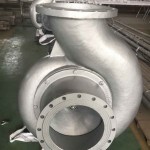 In order to avoid the phenomenon of leakage, the motor will be installed as a thing called the life insurance device, because of its special work, more likely to cause leakage of the situation. In the case of the installation of this component, beyond the rated voltage, it will automatically cut off the power to ensure the safety of operators, but also to avoid accidents. Nanjing lanshen Pump Corp.LTD., founded in 1958,after 50 years of development, is now a registered capital of 50 million yuan, with assets exceeding 400 million yuan, accounting for area of 280 acres. 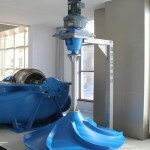 China’s first submersible sewage pump and mixer in the birth and to fill the gap. Currently has a centrifugal pump, switch type electric control, water treatment equipment . © 2015 All rights reserved. Support By INUOX.